We are less than one week away from the International Toy Fair in New York and the Internet toy collecting community is buzzing with fear, paranoia, and conspiracy theories over the idea that the world’s number two and three toymakers, Mattel and Hasbro, may merge. The makers of Barbie and Hot Wheels (Mattel) and the makers of Transformers and Star Wars toys (Hasbro) have been fierce rivals for decades. The idea of the West Coast-based Mattel and the East Coast-based Hasbro combining into one company would be Earth-shattering news. For one thing, there are far too many anti-trust concerns that would not only draw scrutiny from the US government, but also European and other international governing bodies. While LEGO surpassed Hasbro and Mattel last year to become the number one toymaker in the world, they basically only produce toys in two categories, construction toys and video games. Hasbro and Mattel are ranked either number one or number two in fashion dolls, die-cast cars, action figures, board games, figurine playsets, and several less specific categories. I just don’t see regulatory agencies allowing two companies that are fairly evenly matched to merge into one entity that could intimidate potential licensors and bully retailers into raising prices for the consumer. 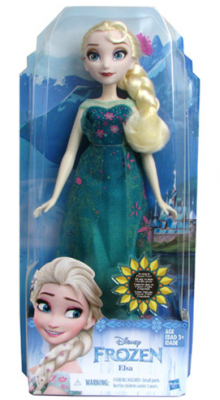 Hasbro just landed the Frozen license. Why would they just let it go? Hasbro just scored a major coup, swiping the licenses for Disney’s Frozen and Disney Princesses lines right out from under Mattel’s nose. Disney was dissatisfied with the job Mattel was doing and felt that they were spending more of their energies on promoting brands that Mattel owned themselves. With an instant and sizable presence in a toy category in which they had previously be very weak, I can’t see Hasbro entering into a merger and basically letting Mattel have those two brands back. I doubt that Disney would be thrilled about it either. On top of that, there’s a lot of fishiness about this story. The timing is suspect. All the published reports thus far credit the rumor to “unnamed sources” within Hasbro. Hasbro will unveil their annual report with what is expected to be very positive fourth quarter sales due to the introduction of the Star Wars toys. We are nearing one of the periods where Hasbro executives can cash in their stock options and those earnings reports, coupled with rumors of a merger could drive the stock to new highs. 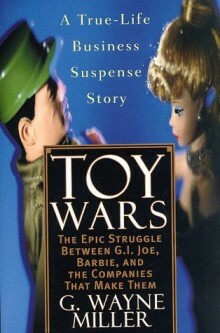 If this also sounds a bit like a conspiracy theory, let’s not forget that twenty years ago there were rumors of a Hasbro-Mattel merger, once again right before the International Toy Fair in New York and right before the release of the earnings report and both events of those happened to coincide with the period when Hasbro employees could cash in their stock options. As detailed in the excellent 1998 book Toy Wars,by G. Wayne Miller, Hasbro employees at Toy Fair sported buttons that said “ESV”, but they were tight lipped about what that stood for. Most people assumed it was a PR gimmick for an upcoming toy line. In fact, “ESV” stood for “Enhanced Stock Value.” It was a sly in-joke to boost morale among employees who needed reassuring that they wouldn’t lose their jobs because the merger was not going to happen. So all the hysteria and hand-wringing on the Internet is, in my opinion, rather silly. Even if a merger does take place, it would be a couple of years before consumers saw any effects of it. There would be regulatory hurdles and major analysis done on how best to combine the two companies. There is so much redundancy between the two companies that there would be massive layoffs of very talented designers and marketers who would then be free to start their own companies or go to work for the competition. This post is one hundred percent pure speculation on my part. I do not pretend to have any inside information. I simply don’t believe there’s a chance that a Hasbro-Mattel merger will take place. It doesn’t make any sense. But if they were to merge, think of all the beautiful synergy. G I Joes crammed up feeding tubes in hospices around the globe! Hot Wheels cars ground up and sprinkled over all the major cereals! The children of today would be flushed with brave new minerals that would likely lead to a dazzling age of awareness and subjugation. How dare ye attempt to poo-poo the advance of history. I has a crayon. Brother, Rude, I hope you’re right. Because I think a merger would be a disaster product-wise. It would simply put too many licenses and in-house brands under one roof. Barbie, G.I. Joe, Hot Wheels, Transformers, DC, Marvel, Disney, Star Wars, Masters of the Universe, Monster High, Fisher-Price, Playskool, WWE, and that’s just off the top of my head. I really believe that quality would suffer horribly. And so would the collectors.